“This morning has been really good for us, and we are very, very happy. We had a lot of confidence and trust in the car and a very good set-up – our engineer has worked really hard and done a great job on the chassis. “To be honest, nothing has changed compared to yesterday – we have just improved our driving and our notes and have more experience on the road. We still have a lot more to learn, but it’s great to see that we can be this competitive. “It’s not been the easiest of mornings. 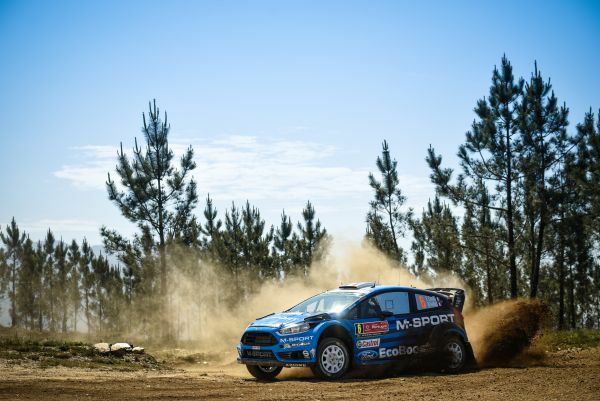 We had a problem with the rear driveshaft on the second stage [of the morning, SS11] and lost the drive on the rear. Then on the last stage [of the morning, SS12] we lost a further two minutes carrying the problem. “You never know what can happen, and this rally has been really eventful so far! Once the technicians get the car fixed, we just have to try and push again. “Yesterday afternoon I actually had a really good feeling with the car. When there is more grip, the issues that we are having with the downshifts isn’t really a problem.